The SPUP academic community gathered to offer their thanks and praise through Eucharistic celebration on the occasion of the Feast of Conversion of St. Paul its Patron. The Eucharist was presided over by the Most Rev. 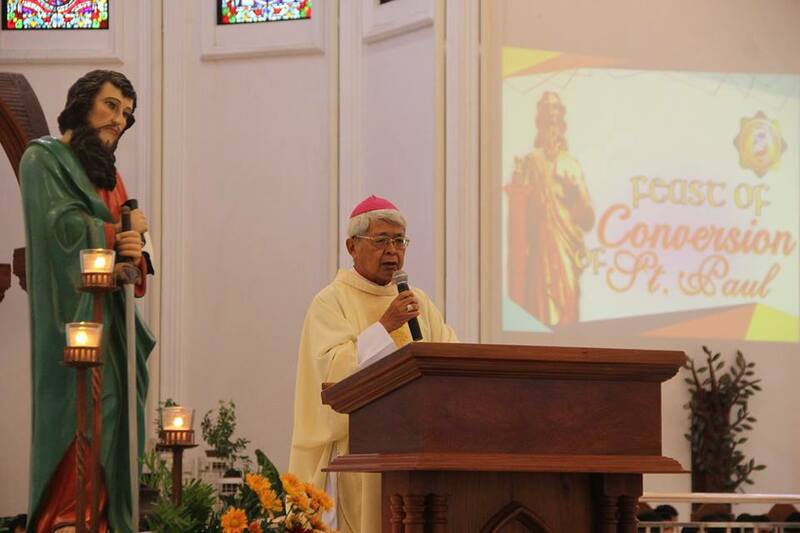 Sergio Utleg, DD (Archbishop of Tuguegarao). In his homily, he challenged everyone to embrace personal conversion and that like St. Paul, become true and courageous witnesses by preaching of the Gospel - thereby making the Lord Jesus felt in one’s experiences and, in one’s encounter and relationship with others. Concelebrating with him were Fr. 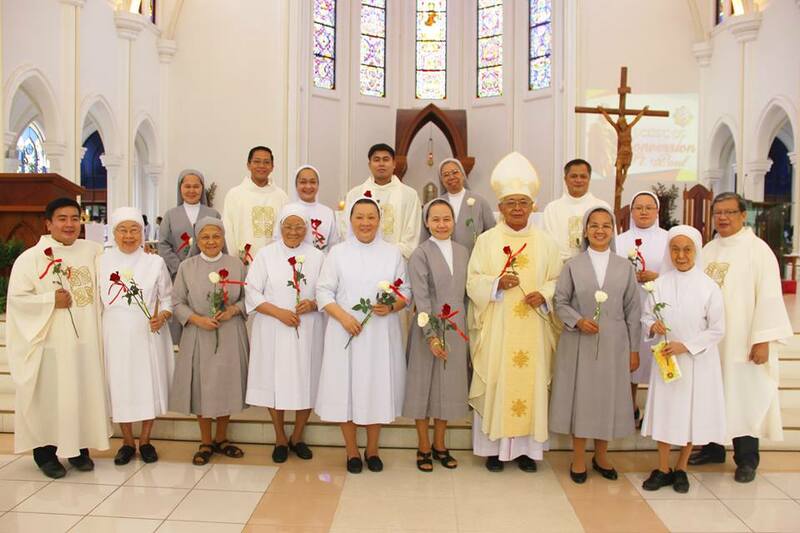 Lloyd de Leon (Chancellor of the Archdiocese and Chaplain of the SPC Sisters); Fr. Benjamin Lasam (Parish Priest of Sto. Nino Shrine and Parish); Fr. Carlos Evangelista (Financial Admin. of the Archdiocese and SPUP Chaplain); Fr. Kristian Noel Sibbaluca (Parochial Vicar of the Our Lady of Snows Parish in Enrile); Fr. Adalbert Barut (Rector of Ermita de San Jacinto and Superintendent of the TASS); and, Fr. Andres Gumangan (a former Chaplain and missionary to Pennsylvania, USA ).